PHOTO BY CORY WEAVER Sandra Piques Eddy performs the role of Carmen with the Rochester Philharmonic Orchestra. 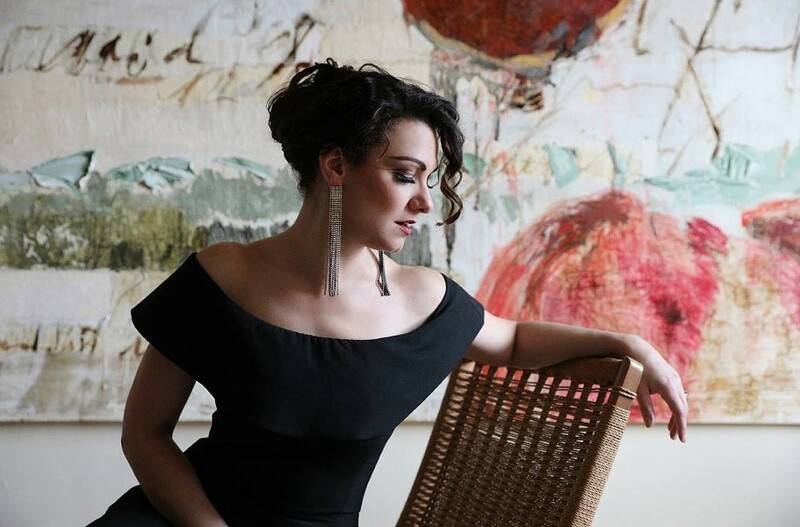 Georges Bizet's "Carmen" is the perfect opera for people new to the art form: It's a fast-paced, lively crime drama with captivating characters, irresistible rhythms, and indelible melodies for days. But the Rochester Philharmonic Orchestra's Thursday performance of the operatic classic -- a semi-staged production directed by Sara Widzer -- also provided more than enough substance for those already familiar with the story. RPO Music Director Ward Stare is an ideal conductor for Bizet's lyrical, dance-like sensibilities, rousing choruses, and intuition for musical momentum. Stare and his orchestra didn't disappoint here, achieving a balance that never overshadowed the singers, but instead heightened the dramatic truth of the characters in the moment. That said, if the singer playing Carmen's scorned lover, Don José, hadn't matched well with Eddy, the entire performance would have been irreparably compromised. But tenor Dinyar Vania pulled off the delicate balancing act of José without a hitch. José is a man of contradictions: a seemingly disciplined soldier who quickly crumbles under the weight of his own impulses, he can be both explosive and tender, stubborn yet sensitive, quietly brooding one moment and erratic the next. These paradoxes of human frailty are what make his character impossible to ignore -- and all of these qualities must be evident in the voice. To that end, Vania was believable without being histrionic, and honest without being cloying. Soprano Jacqueline Echols returned to the RPO as José's hometown sweetheart Micaela, following up her portrayal of Musetta in last season's "La Bohème." Echols was astonishing. With an effortlessly pure and melodious timbre, her earnest and idealistic Micaela provided the compelling counterpoint to the impetuous and precarious Carmen. The piercing sweetness of Echols's aria in Act III was show-stealing. Baritone Alexander Elliot -- who also performed in "La Bohème" -- gamely took on the role of the bullfighter Escamillo. As a whole, the cast was impressive, comprised of incisive singers who were just as adept at conveying covert emotions as they were at making grand overtures of love and desperation. This is important in "Carmen." For all the tumultuous action on the surface, it is internally where the character's passions run the hottest, and the moments between the melodies are where the secrets of the heart are revealed and sabotaged. Despite the title, Bizet's opera hinges on José's story. He is a man who abandons his identity -- and what he once valued in life -- for love. Once love abandons him, there is nothing left for him but madness. The RPO's "Carmen" has a seasoned polish to it, in no small part due to Stare's smart and savvy musical direction, with support from Cary Ratcliff's Madrigalia Festival Chorus and Karla Krogstad's Bach Children's Chorus of Nazareth College. The strong cast of singers helps to seal the production as one of the best opera presentations of Stare's tenure here in Rochester.